Whistleblower Edward Snowden revealed that the NSA hacked the internet as a key part of the ‘Five Eyes’ intelligence program. Since these revelations in 2013, legislation has largely served to give a secure legal backing to what was previously an undisclosed, covert and sometimes informal national surveillance program. In the private sphere, we are now on the brink of an AI revolution, where machine learning combined with big data will yield unprecedented efficiencies and capabilities. Privacy and security are both areas of major importance to civil society, so we must ask when does national security surveillance go too far and erode our civil liberties? This talk will argue that the key issue with both public and private sector surveillance is not a trade-off between privacy and security or privacy and consumer satisfaction rather, the key issue is the centralisation of power that big data enables, and the effects that this has on our freedom. This talk will also explore ways to make sense of this politically and outline what policy options are available. 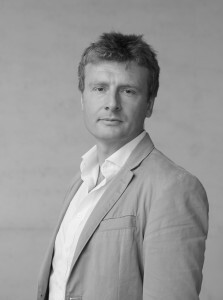 Tom Simpson is Associate Professor of Philosophy and Public Policy at the Blavatnik School of Government, University of Oxford, and a Senior Research Fellow at Wadham College. Educated at Cambridge (BA, MPhil, PhD), Tom has previously been a Research Fellow at Sidney Sussex College. Between degrees, he served as an officer with the Royal Marines Commandos, with tours in Northern Ireland, Iraq and Afghanistan. His research focuses on trust, its theory, practical applications and its implications for both politics and the economy. He is the BBC Radio 3, New Generation Thinker for 2017.